Conservation is failing to mitigate the global degradation and destruction of biodiversity. Gerard wants to know how we - the conservation community - can increase the impact of our actions. He is investigating a series of case studies that aim to understand measuring the impact of and optimizing conservation actions. These case-studies span the scale from project-based, to protected areas, to regional and continental. 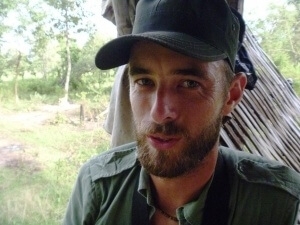 Specifically, Gerard is modelling how traits effect the efficiency of conservation spending on Australian birds, assessing how enforcement activities effect poaching and wildlife populations in Cambodia, and considering the trade-offs in protected area management in Africa. In his spare time, he also works for the international conservation group WWF in Cambodia on the wonderful biodiversity of the magnificent Mekong River.